Rabat is located on the shores of the Bou Regreg River and the Atlantic Ocean. Along with being a very popular tourist destination, it is home to all foreign embassies making it one of the most important cities in the country. 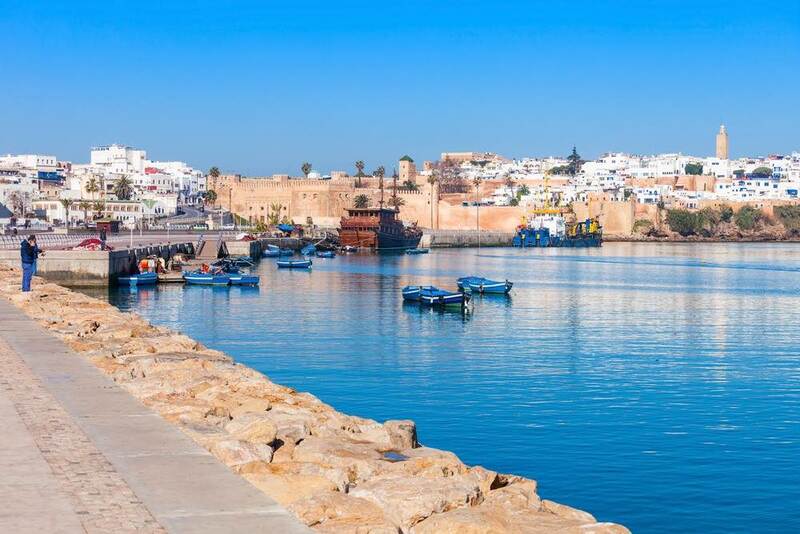 Rabat is the capital of Morocco which is a modern, active city with a population of 1.8 million people. Throughout history, the city was occupied by the Romans and Phoenicians and is home to many monuments and buildings that echo its Islamic and French colonial heritage. Modern Rabat offers many activities for visitors to take part in along with the finest hotels and restaurants. Enjoy a day on their beautiful sandy beaches and pristine waters for relaxing or surfing. Originally Rabat was a small hamlet in North Africa that grew into the enormous, metropolis it is today. During the 17th-century, Spain exiled the Moriscos from their borders. The refugees fled to this small hamlet and created the amazing city it is today. During 1912, there was an influx of Europeans, and then Morocco became a French Protectorate. There are many sites all around the city that reflect this era. 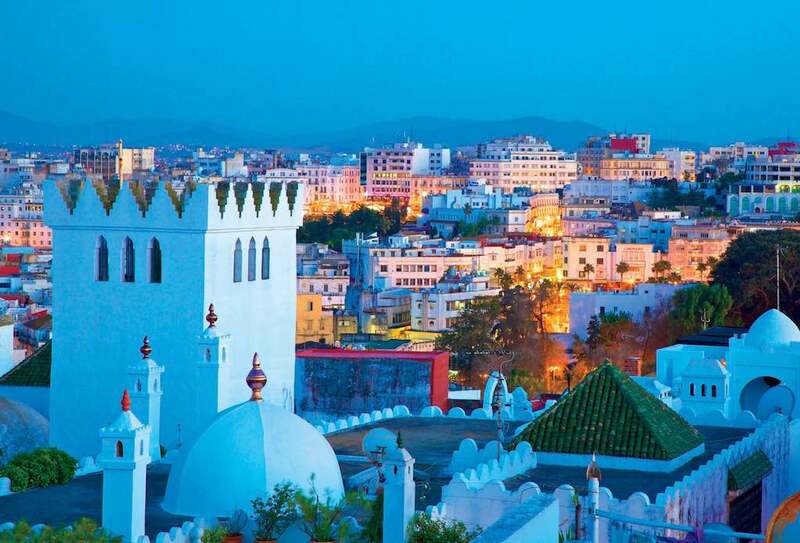 The city has a vibrant mixture of many other cultures as well including Arabs, Andalusian Moors, and Amazigh. This is a multicultural city that welcomes visitors all year round! Although Rabat International Airport is located in Salé, which sits on the other side of the river, it’s a very short drive from there to Rabat. You can book flights from Heathrow, Birmingham, and Manchester with a quick stopover at Charles de Gaulle Airport. Rabat has an excellent train system that runs to and from all major towns in Morocco and buses that run to many different areas as well. 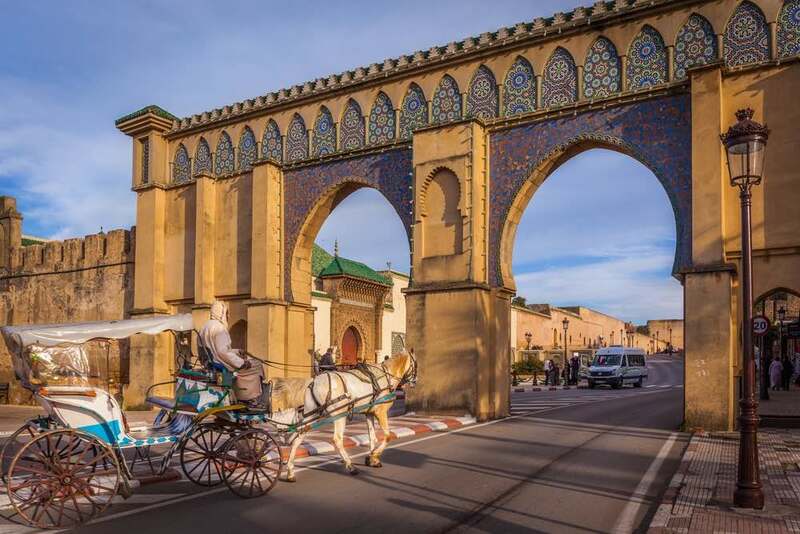 Rabat has many excellent hotels for your convenience but if you want something a little less expensive, visit hotels in the old Medina area of the city. There are plenty of fine hotels and guest houses to rest your weary bones. You probably want to steer clear of hotels that are located near the royal palace because they will be quite expensive. In Medina, there are retreat houses and hotels that are surrounded by beautiful gardens and courtyards. They are decorated with wonderful statues and water features for you to relax and spend some time away from the hustle and bustle of the city. If you prefer modern accommodations, the city has many luxurious hotels that will meet your particular needs. Relax in your luxurious room or enjoy some time in a tranquil pool, experience a wonderful hot stone massage or head off to a hammam! There are perfect accommodations for everyone’s tastes and needs! Rabat has a gorgeous park that gave the city the nickname “City of Flowers” and is a definite to visit. There are many heritage landmarks spread throughout the town along with many impressive buildings and monuments. While here, stop by the royal palace and take in the changing of Royal Guard along with other events and activities that take place there during the week or various holidays. The Museum of Moroccan Art houses a vast collection of Moroccan exhibits including jewellery, ceramics, beautiful silks, and carpets. The museum sits nearby the mouth of the river and was once the royal palace. The city of Rabat has so much to offer visitors including amusement and adventure parks as well. Visit the Rabat Medina for many artisans, musicians, and artists that celebrate their traditions that have existed for centuries. If you are here during the month of May, the city hosts one of the largest music festivals in the world. The Mawazine Rhythms of the World Festival runs for nine days and attracts more than 2.5 million people each year. This huge festival has drawn some of the best-known musicians from around the world including Elton John, Stevie Wonder, Justin Timberlake, and Pharrell to name a few. It also hosts the best African artists from around the world as well. The festival includes parades and workshops, and the entire event is free to all! Visit in May and come join in on one of the greatest events in Rabat! One of the most exciting festivals is called the Candle Festival or Wax Lantern Festival. It takes place in Salé, across the mouth of the Bou Regreg. There is a long procession of people carrying lanterns that date back to the time when Corsairs brought lanterns to the sanctuary of the town’s guardian, Sidi Abdallah Ben Hassoun, to receive protection before a long journey. On July 30th, the Feast of the Throne is celebrated across the entire country but much more so in this city where the King lives. It will be well worth your time to stop by the palace and hear the King address the people. If your taste runs toward jazz, visit Rabat during the month of September. This festival is on a much smaller scale, but you are going to have a very good time! Enjoy excellent jazz performed by the very best Moroccan and European musicians playing together. Take a day and visit the Rabat zoo which is a very popular destination for tourists. The animals are not in cages but enclosures so they can roam about freely. Many of the species in the zoo have become extinct in their natural habitats. Come see lions, giraffes, gorillas, rhinos, and so many more beautiful creatures. Another excellent tourist and locals destination is Rabat’s beautiful sandy beach and warm, pristine waters. Just relax and enjoy your day! However, if sitting back and relaxing is just not for you, Rabat lies on the west coast and offers excellent surfing along the coastline. During the summer months, this area has some the very best waves throughout the entire area. Morocco has become a major surfing destination with an Atlantic coastline that stretches over 1,000 miles from Tangier to Dakhla. Due to its huge coastline, there are so many places where you can catch great waves. If surfing is new to you, there are many surfing schools to take advantage of. You can also rent all the equipment you will need, so you don’t have to bring your surfboard from home. If surfing isn’t your cup of tea, head over to the impressive Megamall and shop til you drop! There are so many shops to stop by and find some wonderful items to take home with you. The mall also houses a play area, bowling centre, skating rink, and climbing wall! The Medina is a great place for a variety of retail shops. You can find old and new items that are sold by vendors right next to each other. You will find usual and unusual things that will satiate your shopping desires. If you want luxurious items, this is the place to be! You will discover rugs that are of the very highest quality in an array of colours and patterns. Stop by Rue Souika and Rue des Consul for the finest crafts and culinary delights! Take a stroll along palm-lined boulevards and find a mixture of colonial architecture and art deco! This beautiful area offers many wonderful shops to find whatever you are looking for. You will discover artisans plying their trades as you browse through the many exciting shops. There are so many beautiful places for you to enjoy local foods and drink. Visit the Medina in the centre of the city and discover vendors who will sell you all different Moroccan foods including fish, kebabs, salads, chicken, and beans. If you would prefer a traditional restaurant, visit the Hassan Quarter or go to the shore and enjoy fresh fish. If you would prefer to prepare your own food, many vendors will sell you any ingredients you need including fruits and spices. Rabat welcomes everyone to experience the culture and lifestyles of the city while enjoying their own tastes and requirements. Although the city of Rabat has become modern, the hammam is still a closely protected tradition. After a long day of sightseeing, why not relax and unwind in one of the city’s hammams. Hammams are located all around the city and are renovated for greater comfort and very modern. If you are here on business, what better way to round out your day than stepping into a hammam to soak away your day of meetings? 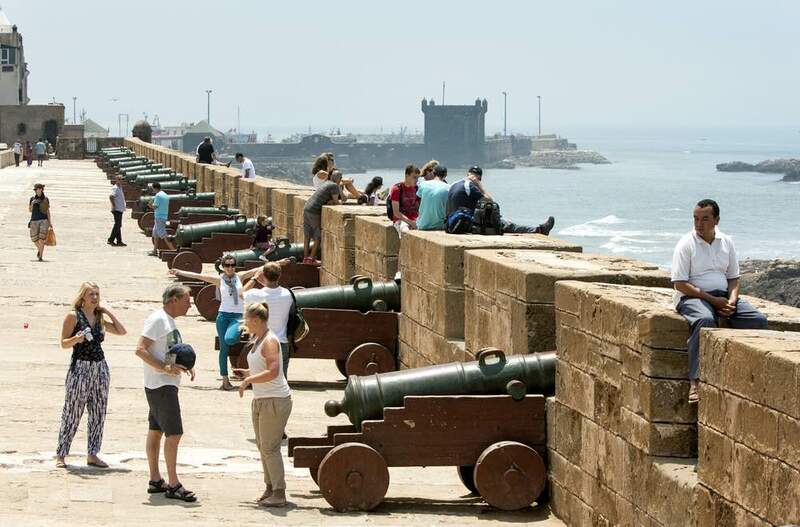 Rabat is one of the four imperial cities and has been a UNESCO World Heritage Site since 2012. There are very few places that have as rich a culture of Rabat which is home to many incredible sights for you to explore. Stop by the Hassan Tower, the Kasbah of the Udayahs, or the Mausoleum of Mohammad V. Head to the eastern side of the city and explore the ancient ruins of the Roman city of Salé Colonia or the Chellah Necropolis. Rabat is a wonderful blend of a modern city with ancient world architecture. This is a very popular tourist destination for many reasons. You can shop all day or spend some relaxing time on the beach. If the surf’s up for you, grab a surfboard and discover some amazing waves! Visit the many marketplaces for hidden treasures or visit their museums or the royal palace. There are wonderful activities for children and adults to enjoy. The holidays bring in many festivals and local celebrations. The next time you plan your vacation, consider Rabat, you will be so glad you did!